Order in next 13 hours and 55 minutes for despatch today. 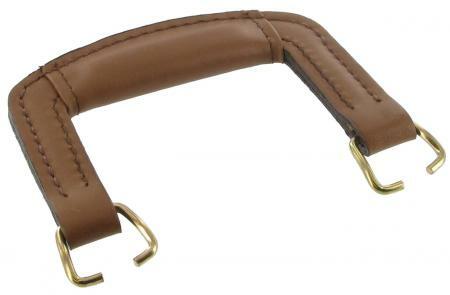 This replacement leather briefcase handle is available in tan only and is usually used in pairs although we sell them separately. No fittings supplied as it has split squares at each end. The approximate inside measurement is 94mm and the approximate outside measurement is 134mm. The height of the handle is 98mm excluding fittings. Please pay particular attention to the width of handle you need, as it is critical on this type of rigid handle.